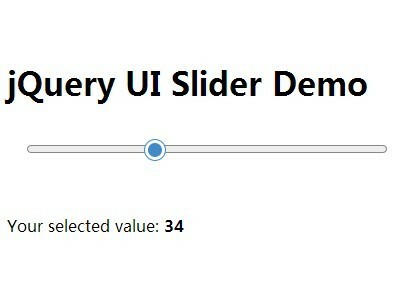 All the Free jQuery Plugins about 'range slider' are listed here. noUiSlider is a Lightweight and Customisable plugin for creating really cool Range Slider without having to include the complete jQuery UI library. Bootstrap Slider is a jQuery plugin that uses native Bootstrap styling to generate highly configurable, accessible, touch-friendly single value sliders or range sliders from normal range inputs. 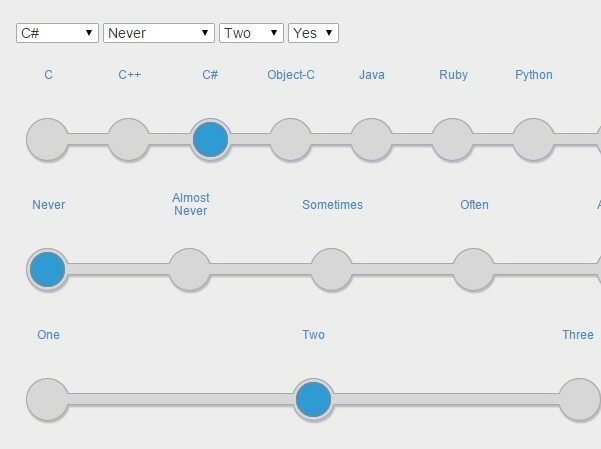 r-slider is a multi-purpose, highly customizable slider control plugin that helps users select a single value or a range of values in an elegant way. fancyknob is an easy-to-use jQuery plugin which converts the normal range input into a nice, customizable knob with support for both mouse drag and touch interactions. inputSliderRange is a jQuery plugin to create a highly customizable range slider that enables the user to increment/decrement values in the associated input box. mb.valueSlider is a jQuery plugin to create multifunctional slider controls for easily selecting and changing values by dragging the handlers. 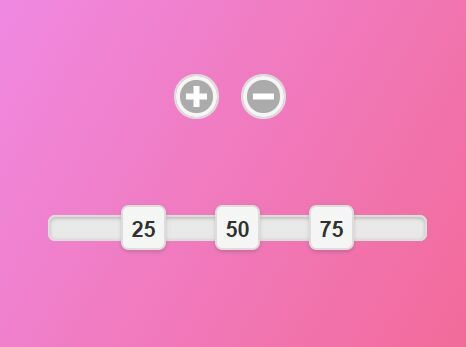 A minimal, clean jQuery range slider plugin which enables you to select a range of numeric value via drag and drop. A Cool SliderControl Plugin for Controlling the speed of the animation for a slider reszing, Setting the minimum amount the slider can be set to, and Setting the maximum amount the slider can be set to. 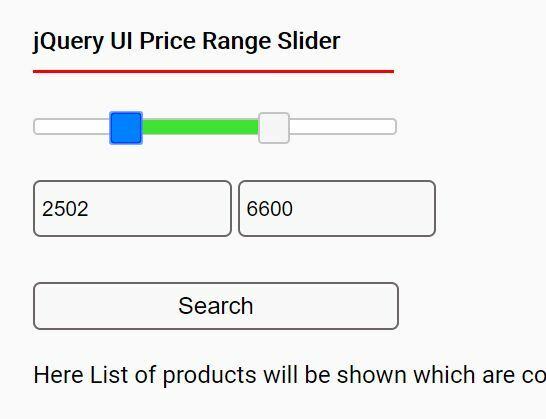 A simple jQuery and jQuery UI based price range slider for eCommerce websites that enable the customers to filter product list by a price range specified in the min/max value fields or by dragging the slider handlers. html-input-range is a jQuery plugin to create a slim, elegant, custom range slider from a standard HTML range input that enables the user to pick a number within a specific range. 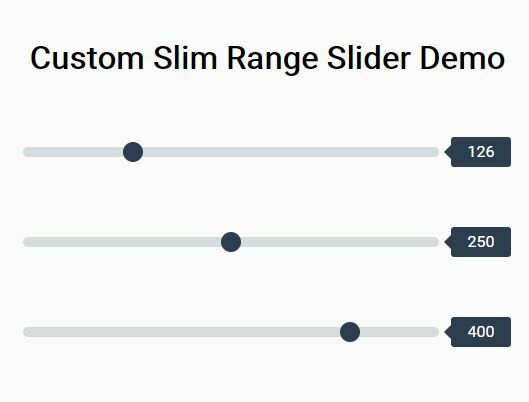 This is a pure CSS solution to create slim, beautiful, range sliders with custom handles and labels. 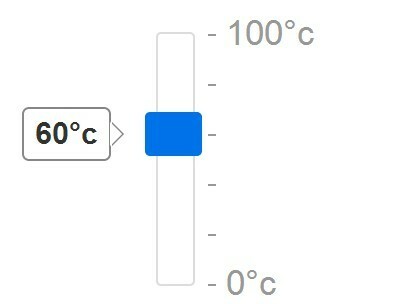 jQuery is used only to handle values displayed in the labels as you drag the range slider. Bubble Slider is a jQuery plugin which converts a regular number input into a responsive, touch-enabled range slider control with custom thumb/track and increment/decrement buttons. sGlide is a jQuery slider plugin used to convert a DIV element into a flexible, customizable and touch-friendly range slider. 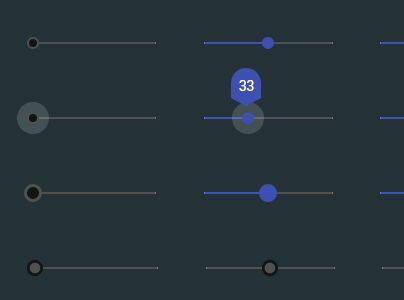 A minimal, clean, mobile-friendly range slider plugin inspired by Android that enables you to adjust model values with mouse drag and touch events. rangeRover is a lightweight jQuery plugin to render a customizable range slider from dynamic data sets that feature categorized, range, and single selections. asRange is a jQuery plugin which converts an input field (or even a DIV element) into an accessible, fully customizable range slider control allowing users to input a range of values. 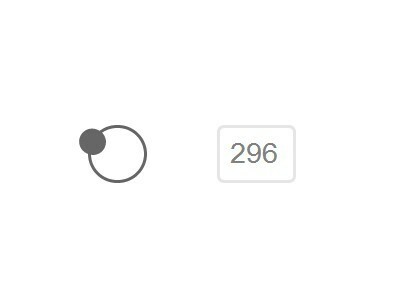 A simple, flexible, highly customizable jQuery circular slider plugin for rendering round/radial/ellipse range sliders using HTML5 canvas element and data attributes. bootstrap-range is a jQuery & Bootstrap plugin for creating an user-friendly range selector which allows the user to select values within a given range from a dropdown list. A fancy range slider control plugin that allows your user to select numeric values from a responsive, customizable and touch-friendly button group. 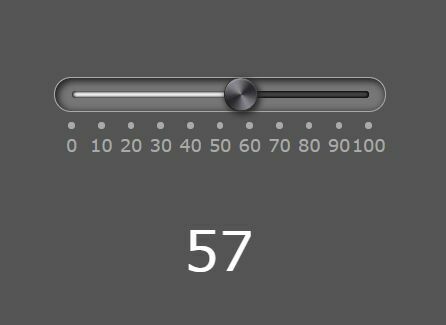 Radios To Slider is a jQuery plugin to transform radio buttons into a nice styled value slider that allows you to pick a option with a simple sliding effect. A simple yet powerful jQuery plugin that turns an input field into a customizable single- or multiple-range slider with support of both touch swipe and mouse drag support. Slider Pips is a jQuery plugin that extends the native jQuery UI slider component to add small "pips", "float", "labels" to the slider with plenty of custom API options. This is a set of Google Material Design inspired slider controls utilizing jQuery, CSS3 and HTML5 range slider inputs. addSlider is an easy-to-use jQuery plugin that lets you render animated, configurable single-value sliders and/or range sliders in the web applications. jRange is a simple jQuery plugin for creating a highly customizable range slider that features custom step, custom navigator (labels) and smooth sliding effects. 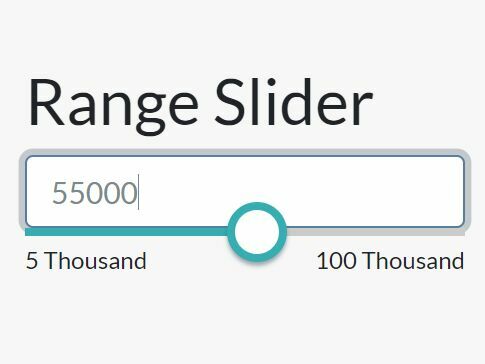 Bubble Slider is a jQuery slider plugin which turns number input fields into beautiful, touch-enabled single range sliders with custom slider handles, labels and controls. Wheel is a simple fast jQuery plugin which takes advantage of D3.js library to draw a circular 360° slider from plain html structure. A lightweight jQuery plugin that converts a text input field into a 360 degree circular range slider for easy angles selection. nstSlider is a jQuery plugin for creating accessible, customizable, touch-enabled and nice looking range sliders with lots of options/APIs. 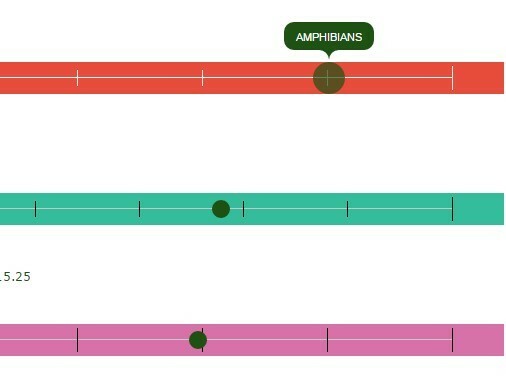 SlimSlider is a jQuery range input plugin which helps you generate slim range sliders with support for snapping, pips, floats and CSS3 animated labels. Circular Slider is a jQuery plugin used to create customizable circular slider controls for multiple purposes such as range slider, image carousel slider, etc. Input Slider is a jQuery plugin that converts an input field into a nice amount/range slider with a custom handle. Ranger is an easy & fast jQuery plugin that converts standard range inputs (input type=range) into horizontal or vertical range picker/sliders with a good looking. Horizontal Selector is a jQuery plugin that automatically generate a slider style horizontal selector UI for default select box using jQuery, jQuery UI and Bootstrap 3.
jQRangeSlider is a powerful range slider plugin buitl with jquery for selecting value ranges, supporting dates and more. jQRangeSlider has been tested with iOS and Android that supports all the touch devices. Range Stepper is a tiny jQuery plugin that transform a DIV element into a highly CSS style-able and snappable range slider/input. A jQuery plugin which extends the jQuery UI slider widget to create flat styled single sliders or range sliders with CSS3 transitions and customization options. A tiny jQuery plugin that extends the jQuery UI slider component to create a stylish circular range slider from a range input. 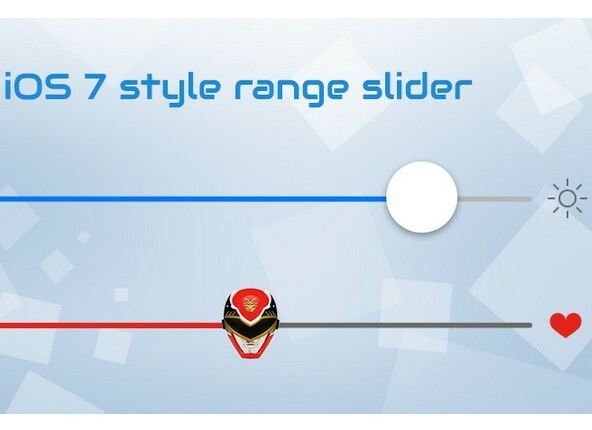 Fresh Slider is a lightweight jQuery plugin that turns DIV elements into nice clean value/range sliders with custom step and callbacks support. A super simple jQuery extension that enhances the default jQuery UI slider widget to create a stylish & animated range slider with CSS3 transitions and transforms. UI Slider is a simple jQuery plugin that converts an DIV elements into an iOS-Style range slider with some customization options. Spunky Slider is a lightweight jQuery plugin which converts a range input into a highly customizable and styleable range slider. Extends the native jQuery UI slider widget to create a stylish slim range slider with jQuery and CSS3 transforms. Range 2D Slider is a jQuery plugin which allows turning an input box into a highly customizable 2D range slider with tooltip and Canvas based grid support. 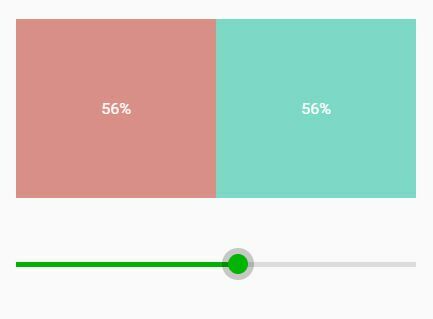 Another lightweight jQuery plugin that helps you create clean and themeable range slider with ease. Colored Slider is a jQuery & jQuery mobile plugin that converts a range input to a value slider with color feedback when the value changed. An awesome jQuery based slider plugin that gives users an ability to select a numeric or textual values by dragging a slider thumb by rotating it 360 degrees. slideControl is a simple jQuery plugin that enables you to easily create sliders with animation effects for range inputs. Colorful Sliders is a jquery plugin with CSS3. With the new transformation features brought by CSS3, we can create a three dimensional dynamic slider effect.